Utilitec's metering division assists water companies with day to day and long term issues with mechanical, electromagnetic and ultrasonic meters. Metering and the accuracy of data recorded by all meters is essential for all water companies; to enable satisfactory completion of the water balance. Therefore, it is imperative that meters are operable and recording data reliably. To this end Utilitec’s metering services team provides metering packages that will help attain this accuracy. Utilitec's meter verification and calibration services comply with best practice methods, as approved by the National Engineering Laboratory. We utilise Electromagnetic insertion probes and / or ultrasonic clamp on meters to verify and calibrate the flow through selected meters. A meter maintenance package is also available which provides maintenance to DMA meters and all ancillary parts. Utilitec carry out meter surveys to establish meter faults including, but not limited to; pulse units, data loggers and mechanical parts. When practicable the internal workings will be removed, cleaned and replaced in fully working order. We specialise in the diagnosis and fault rectification of Electromagnetic meters, which is critical in maintaining DMA operability. 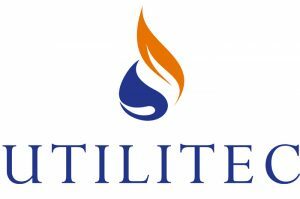 Utilitec also support clients on the meter selection process and in the training of their technical field staff in the installation and maintenance procedure for electromagnetic meters.